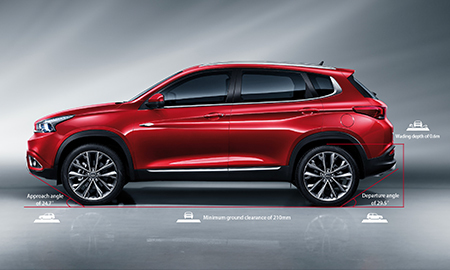 The sporty H.D.S body takes its inspiration from the hydropower of the nature. 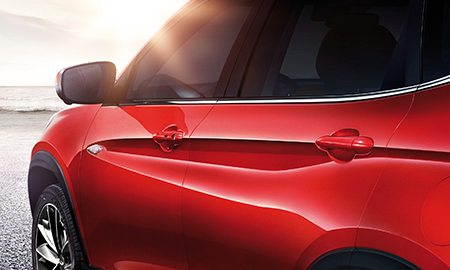 With the running water as the design element, it presents waterstreamed body lines while showing the momentum to move forward, creating a perfect combination of hardness and softness. 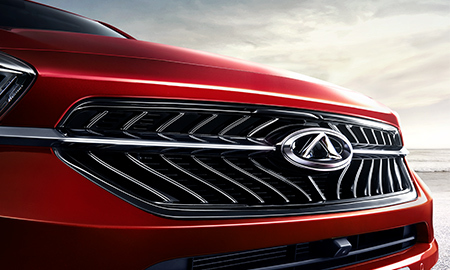 A chrome-plated strip runs through the double arched and wavy grilles, like a bridge over a shimmering lake, adding simple yet elegant touches to the vehicle. 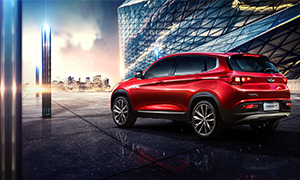 Shaped as the legendary Trident of Poseidon, the headlamp looks sharp with a sense of style, which blends the modern fashion with natural beauty while showcasing the power of an SUV. 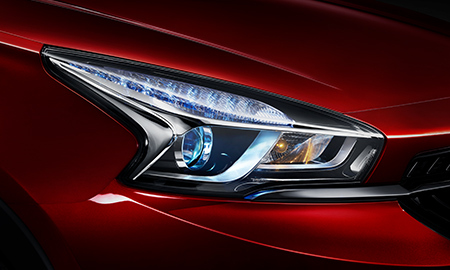 Compared with conventional halogen lamps, Xenon headlamps emit lights four times higher in intensity with one-third less energy consumption. Like the wave trails left by a yacht dashing through the water, the waistlines on both sides extend from the turn signal lamp across the body to the tail, expressing an exceptionally dynamic and inviting force. 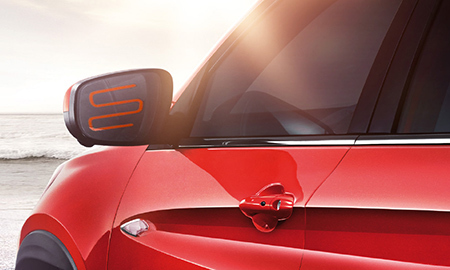 The angular tiger-claw taillight, newly designed to echo the concept of Chery brand, integrates three light strips in an innovative manner that creates a striking existence. 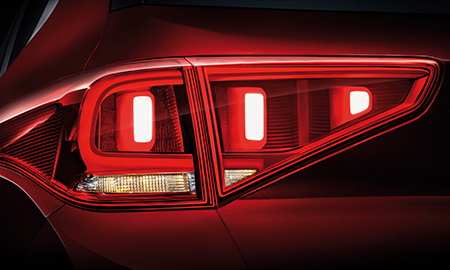 The LED taillight also features high charging speed and long service life. 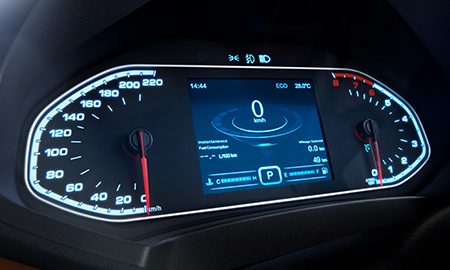 Stretching to both sides like an eagle spreading its wings, the dashboard conveys a sense of power. The sub-dashboard, with innovative design and unique structure, is just like an aircraft carrier embarking on its journey! With generous use of piano paint and various colors for option, it expresses a fashionable and cool style. 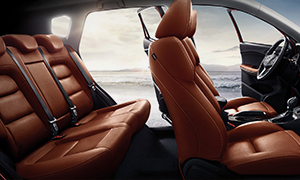 The new soft material, which is environment friendly and recyclable, brings the tactile sensation of leather. 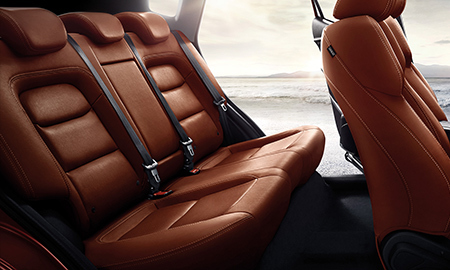 The sportiness is evidently reflected in the dual-color interior trim with British noble spirit as well as the exquisite and stylish double topstitching. 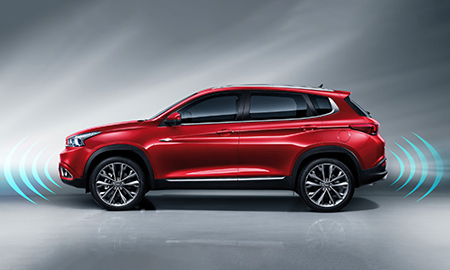 It adopts the second-generation electromechanical dry clutch transmission, with upgraded K2damper and new heat-resistant materials, thus providing better damping effect and heat resistance. 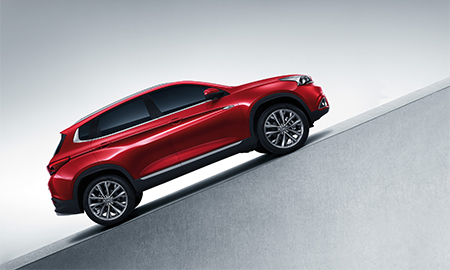 With a maximum input torque of 250Nm, it has Sports, Eco and Manual Mode available. 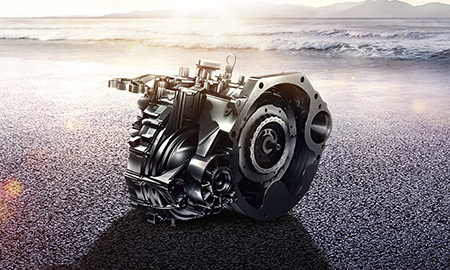 This brings more direct power output, higher transmission efficiency, and quicker shifting response. 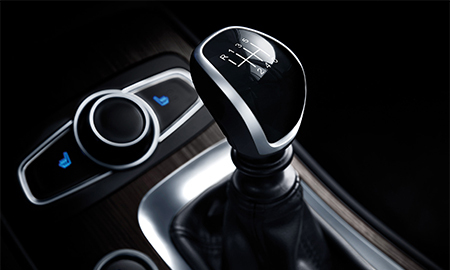 The transmission is also smooth and clear-cut in gear shifting, with excellent fuel-efficiency and durability. 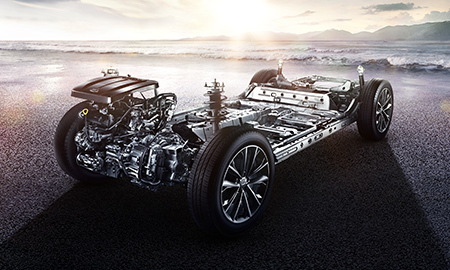 As one of the world�s top five transmission suppliers, Aisin has mature technology and high market recognition. Efficient transmission: transmission efficiency up to 97.5%, 2.1% higher than 5MT; Exceptional gear-shifting: lowered shifting noises, reduced shifting force, and increased efficiency; Outstanding NVH performance and shift impulse: NVH has registered an increase of 5db compared with 5MT, and the impulse for shifting up and down is notably lower than 5MT; Reverse gear presynchronization: an effective solution to reverse gear shifting difficulties and gear seizure problem. It significantly enhances the stability of vehicle when changing track and turning at high speed, as well as the suspension rigidity. 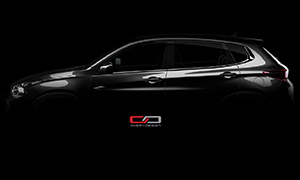 It effectively prevents vibration and noise, achieving a harmonious integration of driving pleasure and riding comfort. 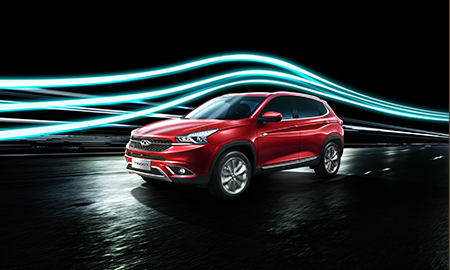 Developed on the specialized SUV platform T1X, prudently tuned and well laid out by world-leading experts; Tiggo7 has the pure SUV DNA and 5-star European Safety Rating that creates perfect driving experience. 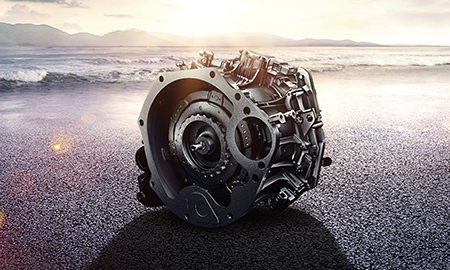 Driving performance is tuned in all road conditions to ensure both flexibility at low speeds and stability at high speeds, while maintaining smooth and natural steering. 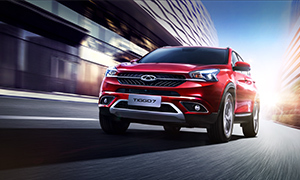 Chery Tiggo7 is a genuine SUV that allows you to enjoy your journey with peace of mind. 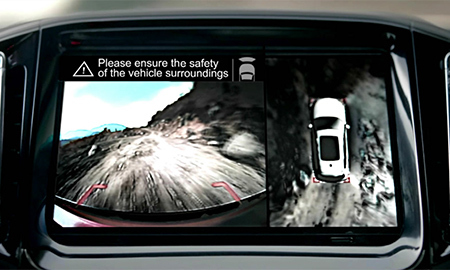 The easy switch between the panorama view and the independent views from four cameras allows you to have real-time control of the surroundings, thus minimizing the blind zone in the width-limited lane and during parking by steering. 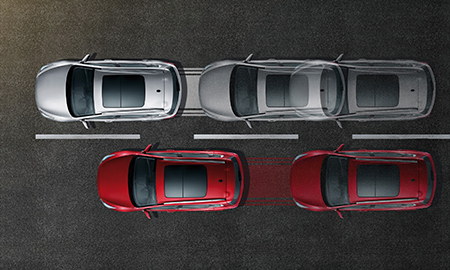 Clear view of the road conditions behind enables an accurate observation of the surrounding distances, which makes parking easier. 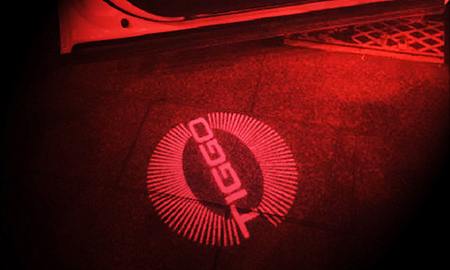 When turning, the fog lights turn on automatically with steering, making the driver's field of vision clear and enhancing traffic safety. 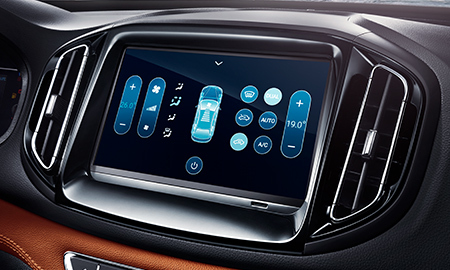 The intuitive display of 'Shift Up/Down' enables the optimal operation of the engine and transmission, thus better protecting your car, reducing fuel consumption while making driving more environment-friendly. 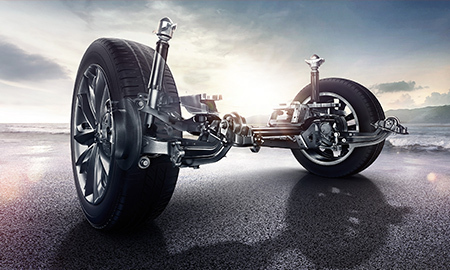 It ensures the best stability of the wheels and accurate steering performance, while integrating such features as ABS, EBD and TCS for guaranteed safety. 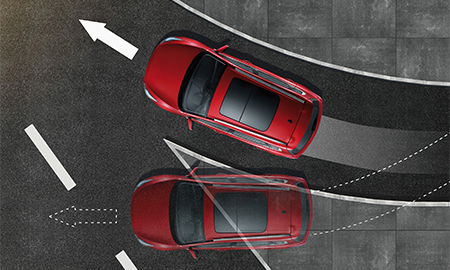 When starting at a hill, the HHC prevents the vehicle from sliding back within 2 seconds after releasing the brake pedal, allowing the vehicle to start easily. TPMS monitors the tire pressure in real time and automatically during driving to ensure driving safety and prolong the tire's service life. 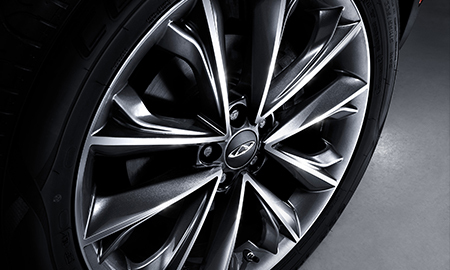 The desired braking experience is provided to avoid accidents, thus making the driver safer and more confident. 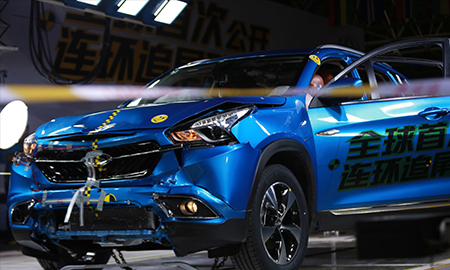 Designed in accordance with the highest crash safety rating of C-NCAP five-star standard, it provides five-star safety protection for occupants. 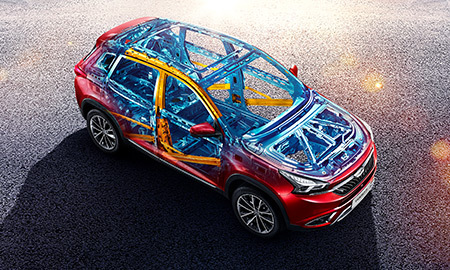 6 safety airbags, produced by Autoliv - the world's largest manufacturer of occupant protection system, will ensure maximum safety. 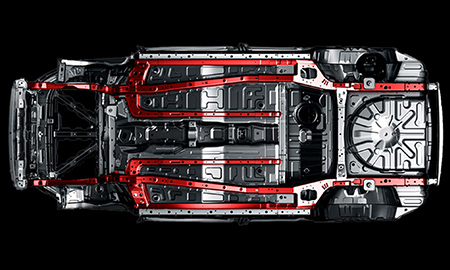 Integral cage body is adopted, 60% of which is made of hi-strength steel, with Benteler ultra-high-strength hot-formed steel used in 6 key areas, delivering a bending rigidity up to 21000Nm/°. 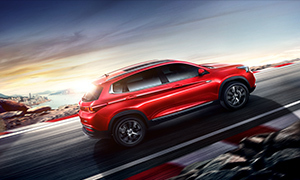 With several force paths in place to fully absorb and transfer the collision energy, and materials of ultra-high-strength (extension strength of 980Mpa) used for the rear end, it maximizes the compartment space while greatly enhancing the driving safety. 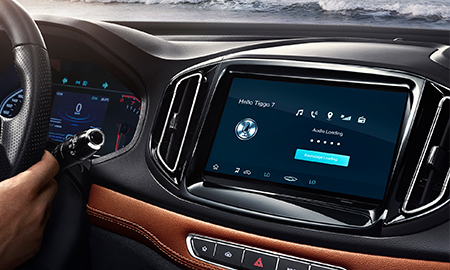 Easy, simple and user-friendly interactive experience., boasting Head Unit Performance, Multi-media Features, A/C Setting, and Vehicle Setting. 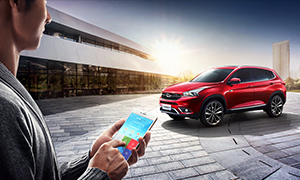 Interconnect as you like to enjoy a delightful life, including Full-screen Mobile Mapping, Bluetooth Hands-free Phone and Dual USB Ports. 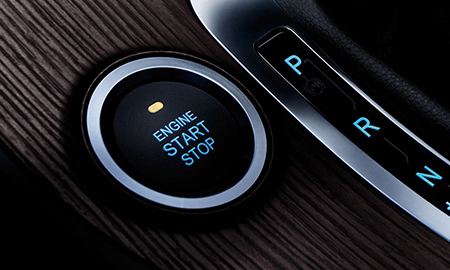 With well thought-out design to the last detail, the vehicle can be locked and unlocked simply by pressing the button on the handle outside the driver's door, which is available even if the key is left inside the car. 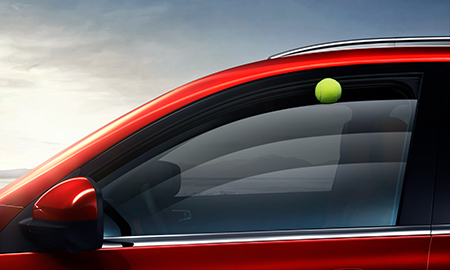 The power heating rear view mirror can be folded automatically when the vehicle is locked, and by pressing Mirror Folding Button during driving. The exquisite ice blue character not only brings convenience and surprise, but also uplifts the impeccable taste of the owner. The electric windows, with anti-pinch design, support such functions as one-touch closing/open, auto closing when locking and remote open, so as to provide all-round protection for your family members. The exquisite ice blue character not only brings convenience and surprise, but also uplifts the impeccable taste of the owner. 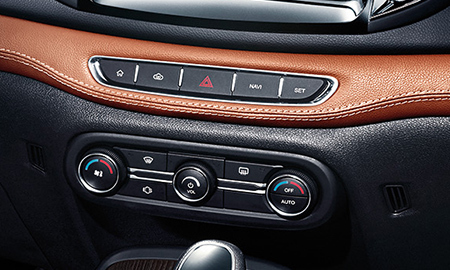 Multifunction buttons are provided for audio entertainment, flipping through the color dashboard, Bluetooth phone, cruise control and language. 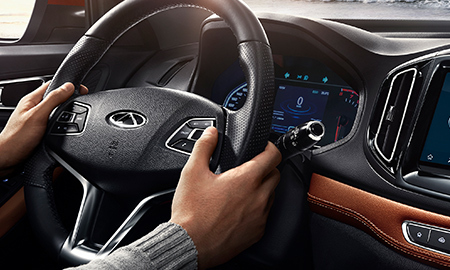 With stereoscopic design, the leather-covered steering wheel is comfortable to hold and easy to operate. 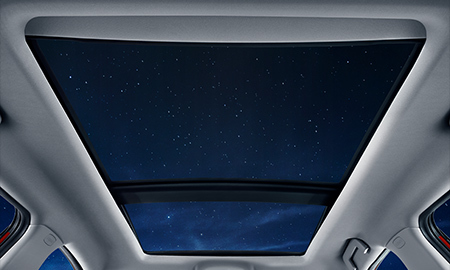 The large-sized 0.92 m2 panoramic sunroof, with electric sunblind, may be fully opened or tipped up to keep fresh air circulated naturally. This creates a comfortable ambiance for you to enjoy the fantastic landscape outside. The library-level sound insulation design for the four doors brings a far better airtightness (80CFM) than any of its same-class rivals. 26 sound-insulating rubber blocks totally cut off the sound transmission in the body. Furthermore, the generous use of 3M sound-absorbing cotton takes the noise control to a new level, delivering a VIP-level riding experience. 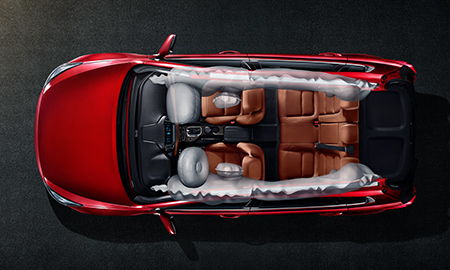 The well-wrapped seats featuring excellent support are filled with layers of soft foam fillings, with enhanced wrapping for both sides and 2-stage seat heating available. 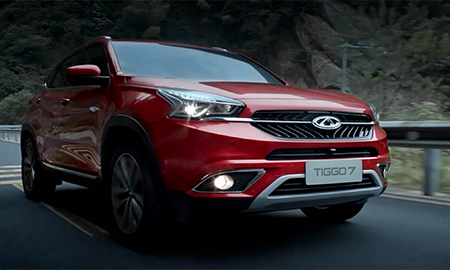 TIGGO 7 features a leading wheelbase of 2670mm, creating a super spacious rear compartment. 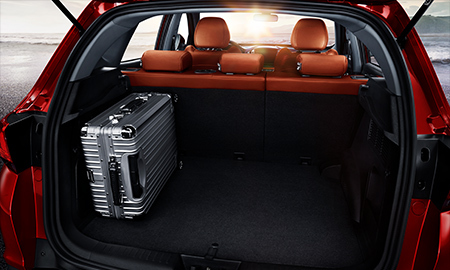 The rear legroom of 721-975mm is also greater than that of the rivals at the same level. Besides, the central floor at the back row rises only 34mm, almost aligned with the carpet. Such user-friendly design dramatically improves the riding comfort of the rear passengers. 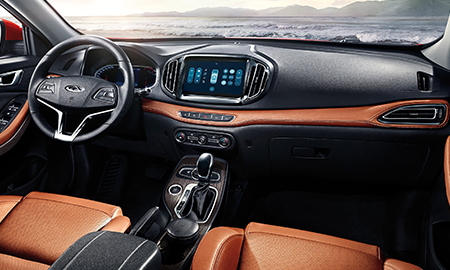 Under the design philosophy of 'low smell, low emission and high sensation' of China Eco-Car Assessment Program (C-ECAP), an environmental-friendly and soft-touching interior is created. 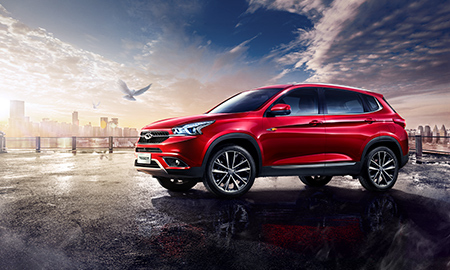 The second-generation dual-zone constant-temperature air conditioning system allows real-time monitoring of the interior environment as well as independent regulation of temperature on both sides. 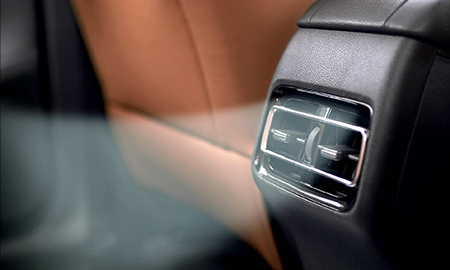 The user-friendly rear air vent caters for the individual needs of every occupant.